This examples shows you how to read and visualize multi-touch data from Snowpad. Microcontroller - In this example, it is assumed that the reader connect Arduino Micro or Snowboard. However, the reader can easily apply information here to his/her microcontroller. 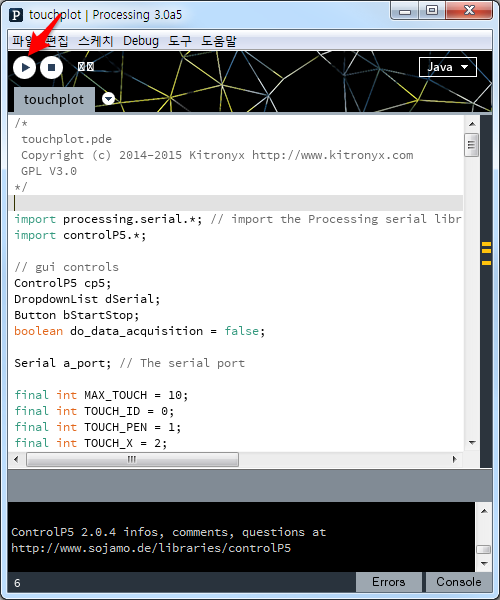 The Snowpad software touchplot is written in Processing environment. There are two ways to start the application - using a pre-compiled binary or a source code. Download the latest Snowpad release file and unzip it. Connect a microcontrolller to Snowpad. Arduino Micro can be directly connected via on-board socket. 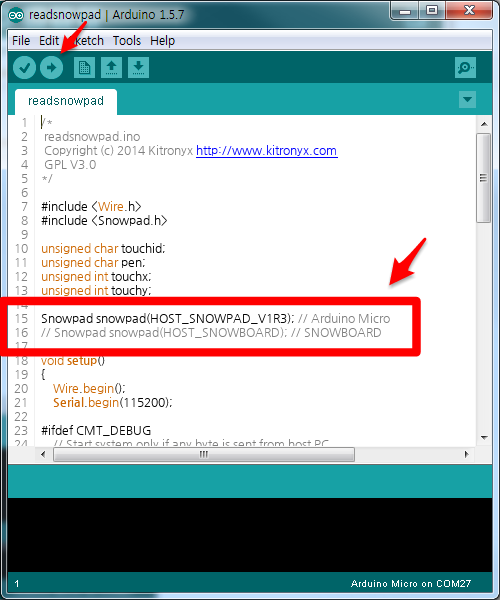 Snowboard or other microcontroller is connected via the external I2C port of Snowpad. 2. 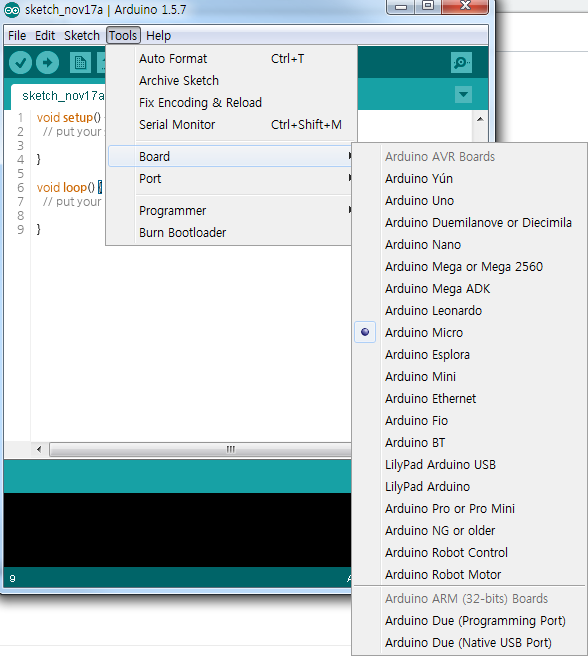 In Tools-Board, choose Arduino Micro or Arduino Leonardo if you are using Snowboard. 3. 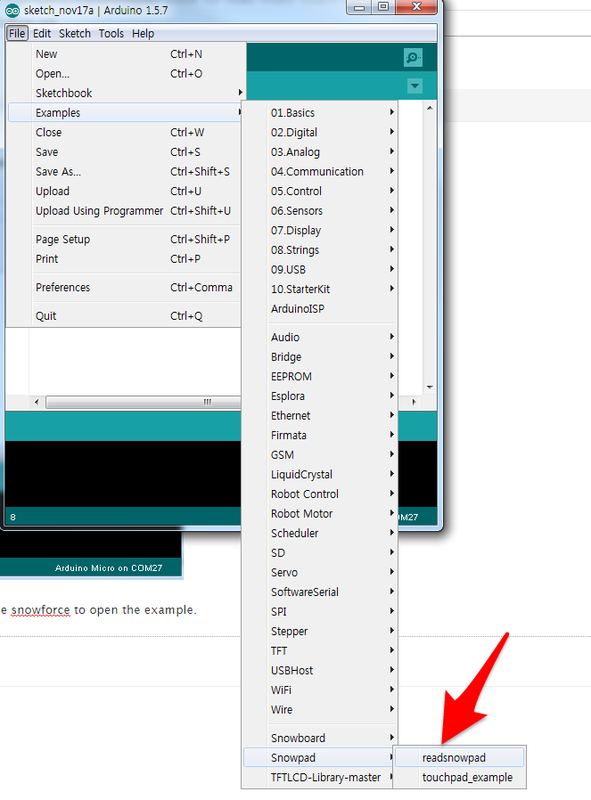 In Tools-Port, choose an appropriate port to which your Arduino Micro or Snowboard is attached. 4. Go to File-Examples-Snowboard and choose snowforce to open the example. 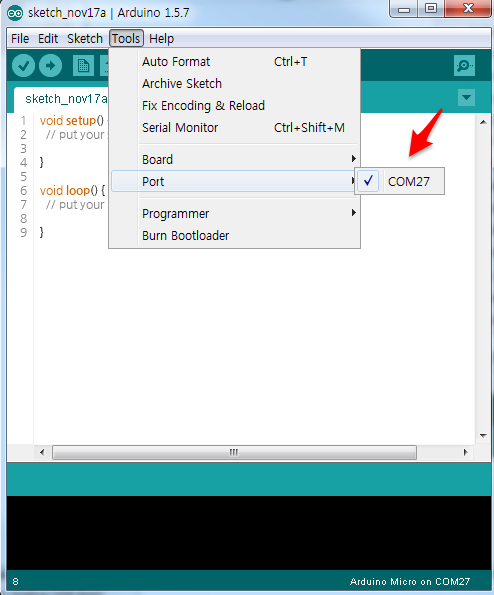 1) If you are using Arduino Micro, uncommnet line 15 and comment out line 16. 2) If you are using Snowboard, comment out line 15 and uncomment line 16. Go to the unzipped folder of the downloaded Snowpad relese file. Double click touchplot.exe in bin folder. Go to the unzipped folder you create during the installation find and double click touchplot.pde. Click Run button in the upper left corner of Processing GUI. The firmware run a calibration procedure during start-up for a few seconds. Do not touch Snowpad during this period. Coordinate is defined as shown below. // Start system only if any byte is sent from host PC.